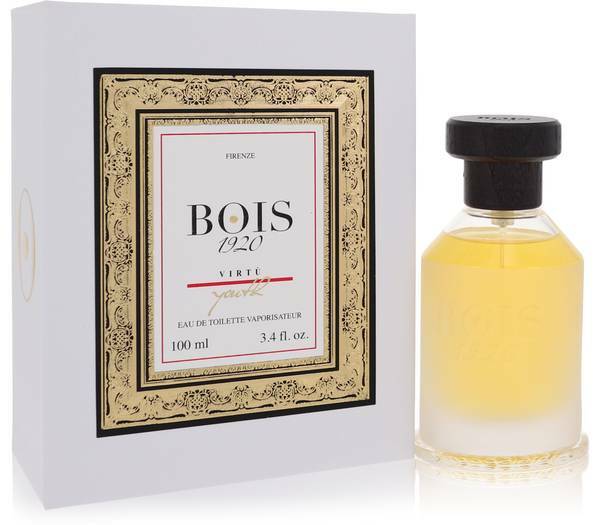 Bois 1920 Virtu Youth Perfume by Bois 1920, Introduced in 2016, Bois 1920 Virtu Youth is citrusy, spicy and woodsy; complicated yet sophisticated . The nose is drawn in by the citrus top notes of grapefruit and bergamot, which are tied together with the floral bouquet of geranium and rose. The heart notes are especially spicy with black pepper, cardamom and incense, complemented by cedar and juniper berry. The base notes that linger the longest are all woodsy, with sandalwood, amber, patchouli Read More Read More and precious oud. It all began in Florence when Guido Galardi was experimenting with lavender oil to create the first fragrances. His passion would grow into a personal career and a time-tested brand for his family to continue to this day. Bois 1920 was born with Galardi’s passion and commitment to excellence, a legacy continued by his family who continue to win awards for the company. The dedication to harmonize unique ingredients and captivate the nose is what makes these fragrances distinct. All products are original, authentic name brands. We do not sell knockoffs or imitations.